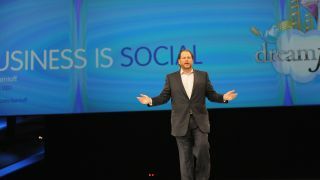 Salesforce.com has agreed to acquire CRM startup RelateIQ for $390 million (around £228 million, AU$415 million). RelateIQ pulls data from email, smartphones, social media and calendar entries to provide sales teams with customer information. The Palo Alto, Calif.-based company was founded in July 2011. Unlike other CRM companies, which require users to manually input today for later use, RelateIQ automatically culls information and inserts it into the CRM database. This is intended to allow sales teams to focus less on data entry and more on using the information to perform sales-related tasks. Salesforce continues to dominate an industry that continues to show impressive growth. The global CRM software market grew by almost 14% last year, according to Gartner Research. Revenue reached $20.4 billion (around £12 billion, AU$22 billion )in 2013. Salesforce strengthened its position as market leader, with an increase in revenue of 30.3% year-on-year. Part of the reason for its success is the company's willingness and ability to engage and innovate to form data-enabling partnerships. In April, Salesforce and LiveHive integrated systems in order to provide engagement analytics and sales insights for Salesforce users "to share, track and monitor," Salesforce said at the time. Last year, Salesforce and Evernote collaborated on a tool that allows users to add sales information, customer research, contacts, meeting notes and email exchanges stored in Evernote Business directly to customer records in a single click. The same month, Workday announced it would work Salesforce.com's Customer Relationship Management (CRM) applications into its Human Capital Management (HCM), Financial Management and Big Data Analytics services. If the RelateIQ acquisition is approved, it would be Salesforce's largest acquisition since it acquired ExactTarget for $2.5 billion (around £1.5 billion, AU$2.7) in June of last year. Here are 10 CRM systems you should know.